Another Linux-based gaming system is coming, this time from Atari. 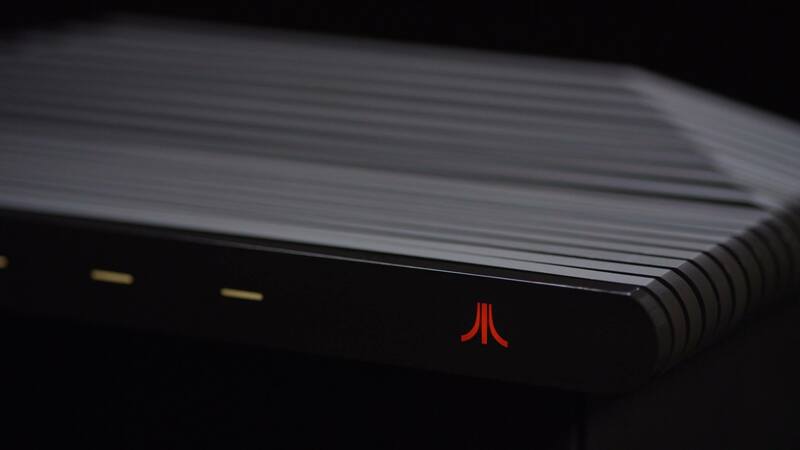 The Ataribox [Official Site] will run on an AMD processor and it sounds quite interesting. It will use an AMD customized processor, with Radeon Graphics technology. This likely means a proper CPU for a desktop and not an ARM chip like found in other devices. It runs Linux, but they will be customizing the interface as it's mainly aimed at using it like a console on a TV. Even so, they say it will give a "full PC experience for the TV". You will also apparently get full access to the underlying Linux system, so there might possibly be a proper Linux desktop included to achieve this. It sounds like it's going to remain quite open too, as they say you will be able to access games purchased from other "content platforms" as long as it's Linux-compatible. So, it sounds like installing Steam will be possible for example. It will come pre-loaded with classic Atari games too and even some current titles from a range of different studios. It will be interesting to see if these current titles are games already on Linux, or games they will get ported. If they are new ports, I hope they continue to be open with them and not do some kind of exclusive "Ataribox store" deal. They say we will learn more about the titles soon, so I will keep you updated. It will launch on Indiegogo soon, they say "this fall". It might seem strange for a bigger company to go to crowdfunding, but they say this is because they want the community to be part of the launch. Honestly though, it's mainly so there's less risk involved for them, but it's also a good way for them to gauge real interest in it. As for the proper launch, that will be in "late Spring 2018" with a price between $249-$299. That depends on what edition and configuration is purchased. The wood edition, pictured above, is made with real wood. Now that I would love to sit next to my TV! That's a real unit, not a render. This is something that could help push Linux gaming further. Especially if it really will be as open as they claim, it could help Linux gain even more support from developers. I don't want to overstate how well it will help though, since it's not going to be massively powerful. Even so, it's hard not to get excited about the possibilities here. Another big name pushing Linux gaming can only be a good thing for us. While Valve's Steam Machines didn't do as much as some people hoped, it did open up Linux a lot more to game developers and we've now got thousands of games on Linux as a result of Steam coming to Linux and later the SteamOS announcement. Perhaps this small kick from Atari will help continue progress, but who knows. What do you think to this? Exciting or not? I will likely grab one, the price seems good and it sounds like a fun platform. It also looks pretty awesome! Update: For those curious if it's really real (there's been a few comments about it across our various social groups). Here's the press email, also the official Atari Twitter account even linked to it, as did the official Atari Facebook. On top of that, it seems the AMD CEO is excited by it. What is your source about it runs Linux? I can't find a thing about it in the official site you gave. Anywhere you view the specs of this; the information doesnt appear to be on the website or if it is it's not easily accessible. The information was from the press release. It's also confirmed in interviews with other sites, but our source is the press information sent out. liamdawe The information was from the press release. It's also confirmed in interviews with other sites, but our source is the press information sent out. Ta, sounds nice, but I think I will wait to see what specs it actually bags when its closer to release, at the pricepoint however I cant see it being very beefy. Sounds bloody ultra pretty interesting! sounds better than a steamlink. With full baseOS access, it could be modded into something useful like any other platform. In fact, why can't I find these low power amd embedded boards on the market ? Hopefully it has some type of Media play support built-in, I really could do with something better than what I'm using now. madpinger sounds better than a steamlink. With full baseOS access, it could be modded into something useful like any other platform. In fact, why can't I find these low power amd embedded boards on the market ? Well, it sounds like they're not using anything already available, since it uses some custom components. It's funny to see so many people saying it's an expensive raspberry pi across the net, when in fact it's very different. Since this won't be ARM-based, it should run any Linux game it has the specs to be playable. timothyja Hopefully it has some type of Media play support built-in, I really could do with something better than what I'm using now. 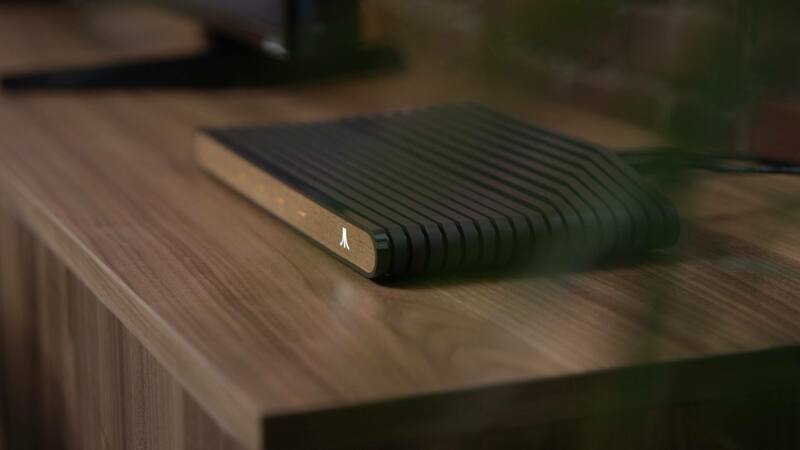 Quote This approach means that as well as being a great gaming device, Ataribox is also a full PC experience for the TV, bringing you streaming, applications, social, browsing, music, and more.